The debate over what to do about climate change has been going on for quite some time now. There are still some out there who feel that it isn’t a threat to our planet. Donald Trump is not only uninterested in talking about the issue of climate change and how to approach it, he’s outright dismissed it altogether. On more than one occasion, he’s reduced the issue to simply changes in weather patterns, and nothing more. 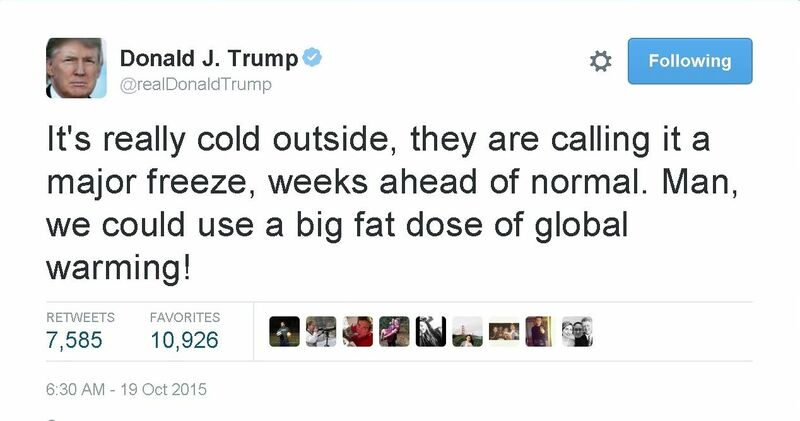 “Global warming is a total, and very expensive hoax!â€ Trump saidÂ in a tweet in 2013. Despite the overwhelming evidence that climate change is indeed something we need to take seriously, it’s all just one big, fat lie in the eyes of Donald J. Trump.